Many companies choose the Chartreuse de Pomier in Haute-Savoie to hold their corporate events: fairs, congresses, product launches, symposiums, etc. 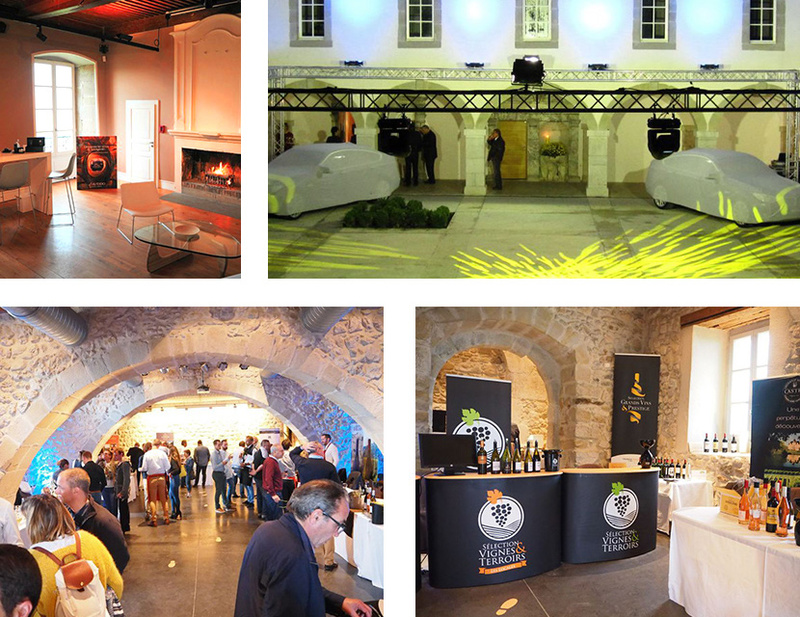 The Domaine offers an idyllic setting, ideal for holding a top-class event, organizing a fair or presenting a new product, a stone’s throw from Annecy and Geneva. Ideal in terms of memory and communication as well, as your guests will long remember your unconventional event! Product launches, fairs and congresses are often high-profile events for companies, the success of which is vital. These types of event deserve a prestigious venue, which will instantly charm and win over your guests! An iconic venue, combining authenticity and modernity between Annecy and Geneva, the Chartreuse offers rooms fitted with audiovisual equipment and wifi, and has a list of top-class partners to guarantee stress-free logistics for your event. The Chartreuse de Pomier in Haute-Savoie, a stone’s throw from Annecy and Geneva, can host all types of event thanks to its many layout possibilities. Whether presenting simple accessories (in specially equipped rooms) or the biggest cars (in the courtyards and parks), your company can choose the best configuration for its product launches. With its capacity (we can accommodate between 20 and 700 people), its 3 car parks, its modular rooms, its outdoor areas and its proximity to two large cities, Annecy and Geneva, the Chartreuse will guarantee the success of your fair, congress, product launch or symposium. You’ve got it, the word “impossible” just doesn’t exist at the Chartreuse de Pomier!